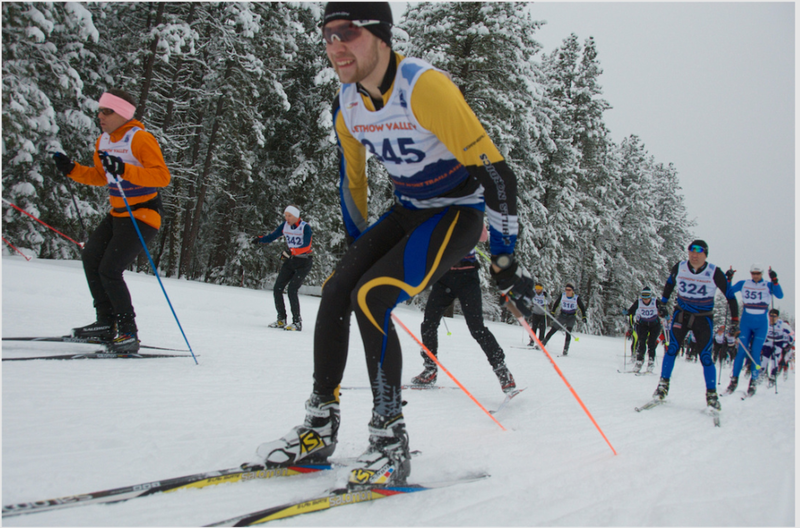 Join Methow Trails and the Methow Valley Nordic Ski Education Foundation January 26th for our first annual Ski to the Sun Marathon and Relay. 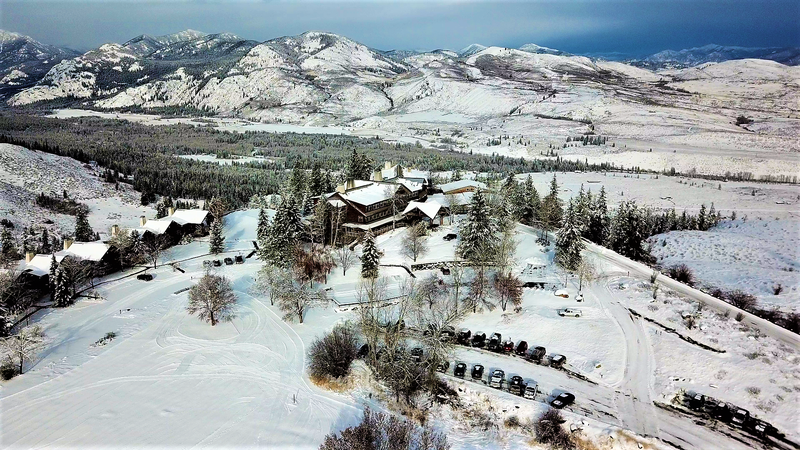 This course takes place on North America's largest ski trail network and takes skiers from the tranquil banks of the Methow River to the amazing mountain vistas at Sun Mountain Lodge. Ski the marathon as an individual or as a relay with up to 5 other friends or family members (details below). 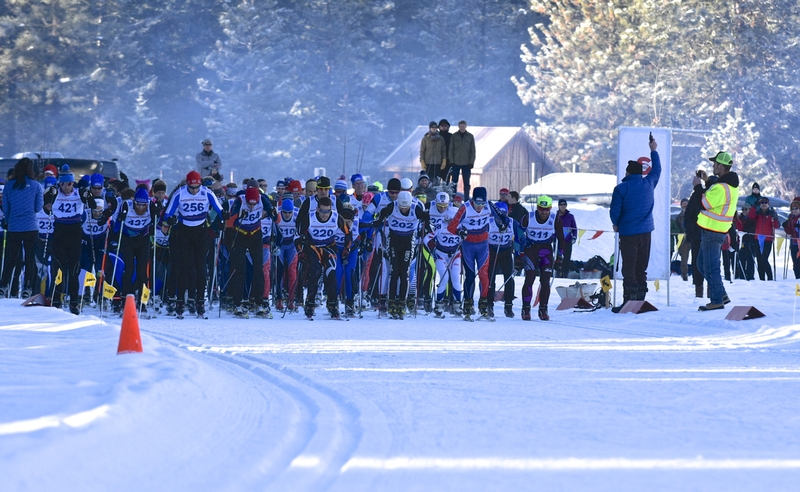 The race is freestyle technique - racers are welcome to skate or classic ski and resluts will be determined by overall time in individual and relay divisions. You'll enjoy food, festivities, and fun along the way! 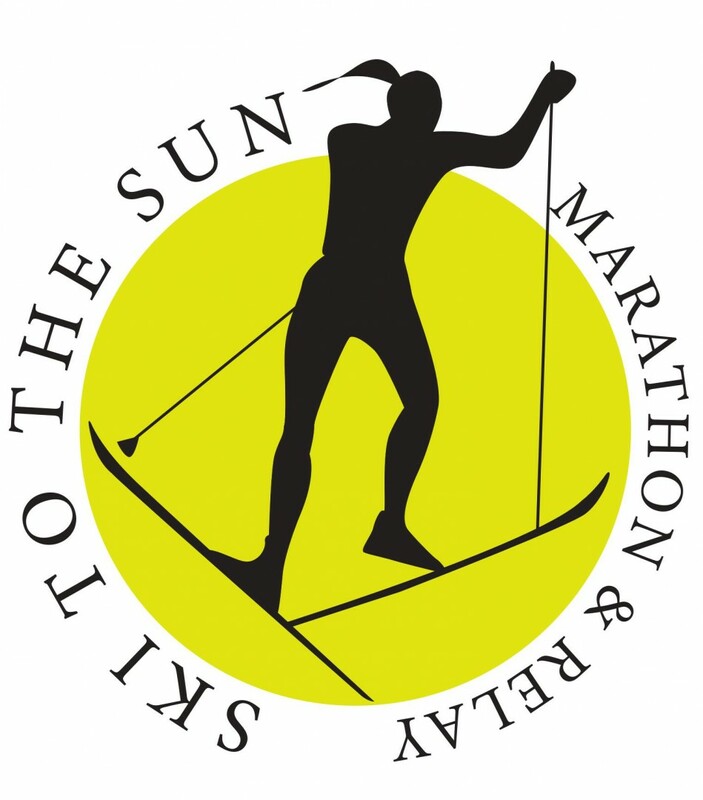 Check out our Ski to the Sun promo video here! The Ski to the Sun Marathon is a challenging course that features some of ths most spectacular sections of our trail system. Racers warm up with a fast-paced ski on the valley floor and end with an exhilarating climb to the top of Sun Mountain, where 360-degree vistas and delicous, hot food await. Inspired by our popular Sunflower event, the Ski to the Sun Relay encourages skiers of all ages and abilities to join in the festivities! 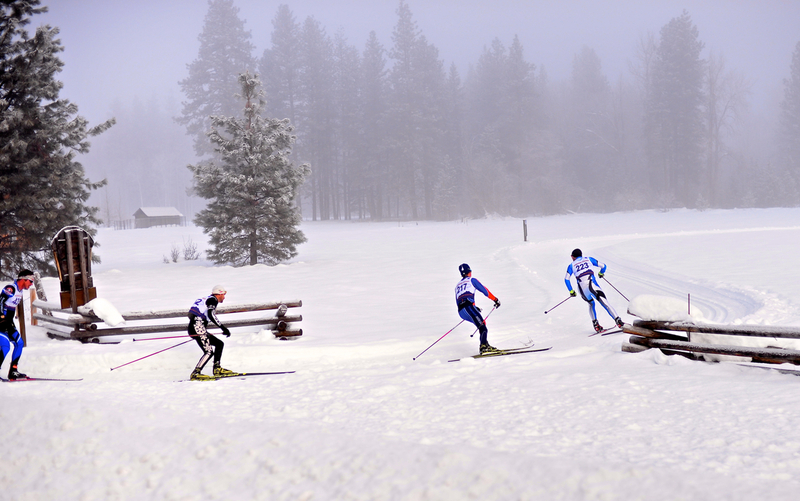 This stunning course is divided into 6 different sections with 2-6 skiers per team. Skiers are welcome to skate or classic, but awards will be based on overall time (no skate and classic divisions). A summary of each leg is listed below. A more detailed description can be found HERE. There are 5 Exchange Stations with water, sports drink, and gel. There will also be food (chips, bagels and cream cheese, oranges, oreos, etc. ), fire pits and music at Exchanges 3 (Browns Farm), 4 (Wolf Ridge), and 5 (Chickadee Trailhead). Packet pick up will be located at the Rocking Horse Bakery in Winthrop on Friday, January 25 from 4:00-6:00 pm. We encourage all racers to try and make this pick-up time. There will be a late packet pick up Saturday morning in Mazama from 7:15-7:45 am. Shuttles will transport racers from the finish line at Sun Mountain back to the Corral Trailhead in Mazama. 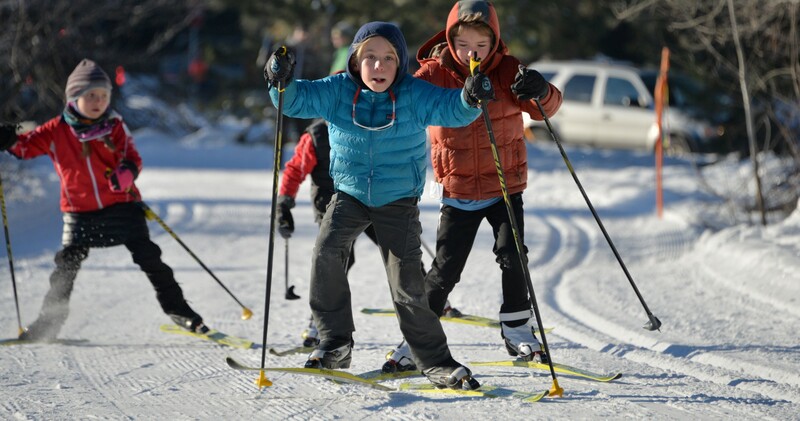 The Methow Valley Nordic Ski Education Foundation will be hosting a dinner and social gathering at the Methow Valley Community Center in Twisp on Saturday evening. Join us for a fun evening that celebrates the day with delicious food, local craft beer and wine, a race photo slideshow, and awards ceremony/raffle. Tickets are included with registration and are available for purchase for friends and family members. Kids 17 and under are FREE but must register (includes signing online waiver) on time to participate. 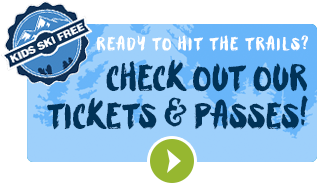 Entry fee includes race bib, participant packet, custom Ski to the Sun Buff, post-race lunch, awards, and dinner ticket. Registration CLOSES on Sunday, January 20 at midnight. No day of registration. No refunds or registration transfers after January 1st, 2019. $15 refund/transfer fee prior to January 1st. If you are having any registration difficulties, please contact our registration partner, Databar: staff@databarevents.com. Methow Trails is a non-profit organization. Income from this event supports year-round trail operations in the Methow Valley. There are no entry refunds, exchanges, transfers or rollovers, and the event may be cancelled due to variables beyond our control; severe weather conditions, fire, unhealthy air quality, road closures, natural disasters, or other unforseeable events. Race Start – From Winthrop, follow Highway 20 northwest 13 miles. Turn right at the Mazama Junction and proceed to the stop sign. Go straight through the intersection and turn right into the Corral Trailhead Parking Lot. Race Finish - From Mazama head southeast on Highway 20 towards Winthrop. Cross a bridge and turn right at the 4-way stop in town. Proceed through town approximately 1-mile. The road then curves to he right, crossing another bridge across the Methow River, and immediately after crossing the bridge the road will “Y”-turn right onto Twin Lakes Road. Follow this road for 3.2 miles to Patterson Lake Road, and follow the signs 6.4 miles to Sun Mountain.